Hello! 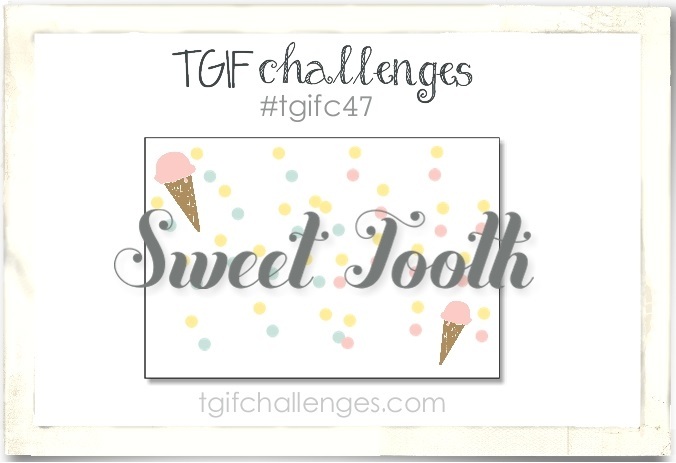 Hope you've been having a wonderful week so far! I'm just getting back to work after a week's vacation so there has been a lot of catching up to do! 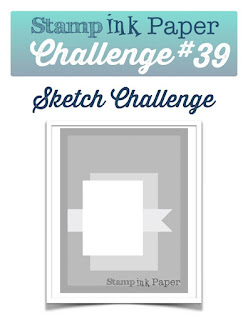 Since it's Tuesday, then of course it's time for another Stamp, Ink, Paper Challenge! 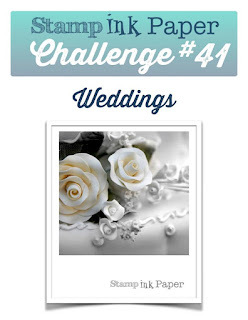 This week's Challenge is a Wedding Card! I'll have to admit, my first thought was white on white and I absolutely adore a white on white card but for some reason, I found that Wisteria Wonder was calling out to me this week. Does that ever happen to you? I added a bit of Elegant Eggplant and White as well. Here's a closer view so you can see the Wink of Stella. 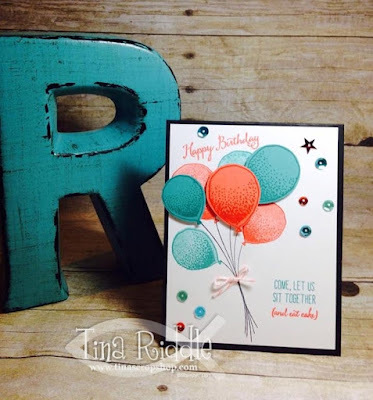 I just love adding glittery goodness to my projects! 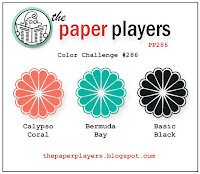 I added it to my flowers at first and then decided to add a bit to my leaves as well! 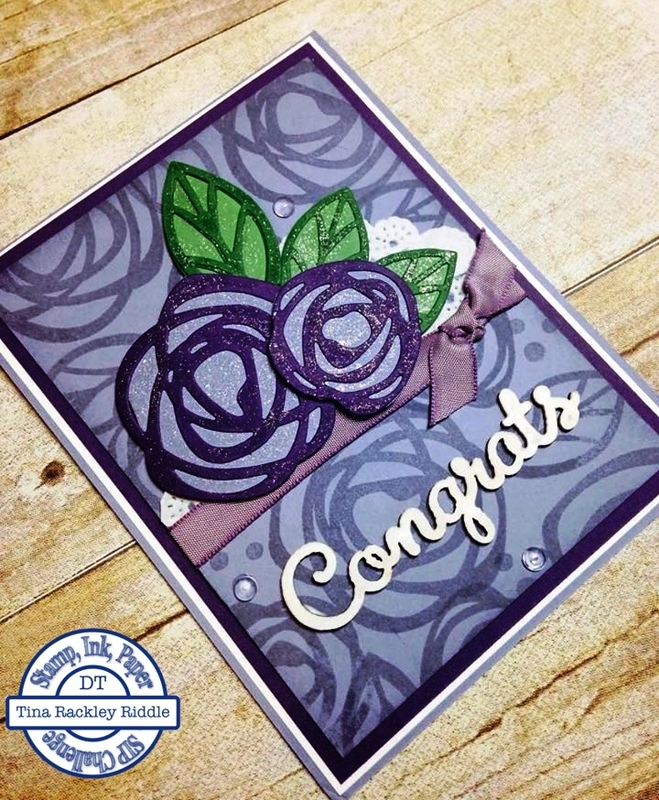 I used my favorite stamp set from Ellen Hutson "Bold Blooms" to stamp some of the scribble roses, leaves, and dots onto a 3 3/4" x 5" piece of Wisteria Wonder Cardstock tone on tone. 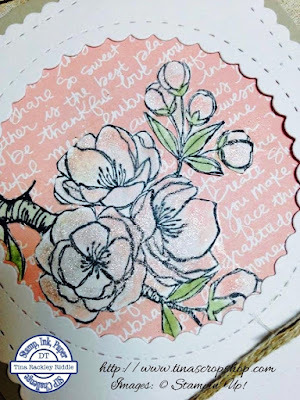 I then used the coordinating dies from Ellen Hutson "Bold Blossom" to cut out some of the flowers and leaves. 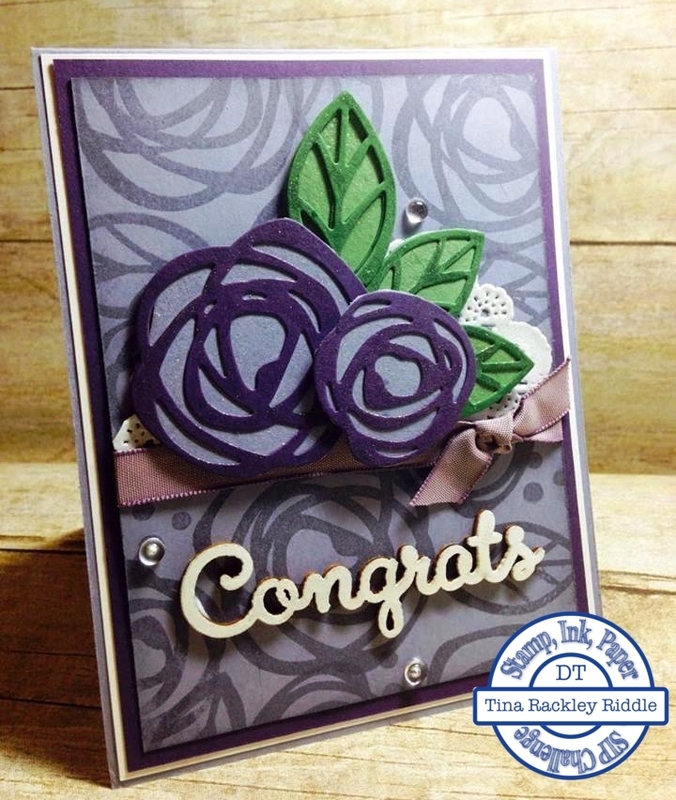 The Blooms were cut in Elegant Eggplant and adhered to Wisteria Wonder cardstock and then trimmed out. The leaves were cut in Wild Wasabi and they were glued onto Pear Pizzazz cardstock and then trimmed out as well. 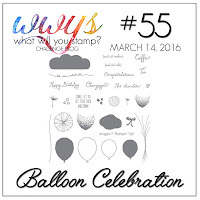 I used a partial cut of a Stampin' Up! 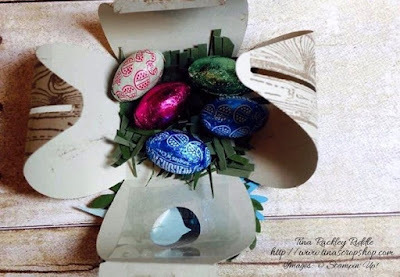 Tea Lace Doily adhered to the Wisteria Wonder Layer before adhering the ribbon and flower and leaves die cuts. The wooden "Congrats" was from Stampin' Up! and was one of the Expressions Natural Elements. It comes in a light natural wood tone. I pressed it into White Craft Ink to make it White and then used some Wink of Stella on it as well. 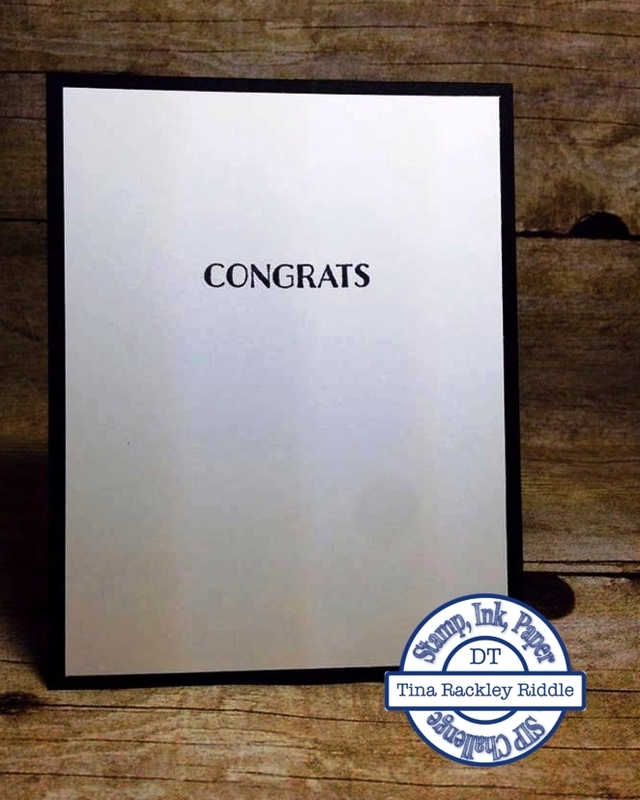 I used Alene's Fast Grip Glue to glue on the "Congrats" sentiment. Tombow Multipurpose glue was used to adhere the Wisteria Wonder layer onto a piece of 4" x 5 1/4" piece of Elegant Eggplant cardstock. That was then glued to a skinny layer of Whisper White (4 1/8" x 5 3/8") and then those were all adhered to my 4 1/2" x 11" Wisteria Wonder card base that had been scored at 5 1/2". Finally I added three Pretty Pink Posh Dew Drops with some Alenes Fast Grip glue. 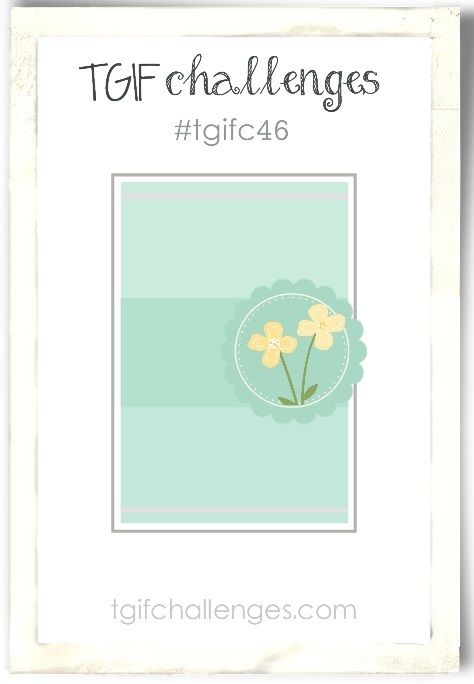 I hope you like it and I hope it's not too colorful for a Wedding Card. 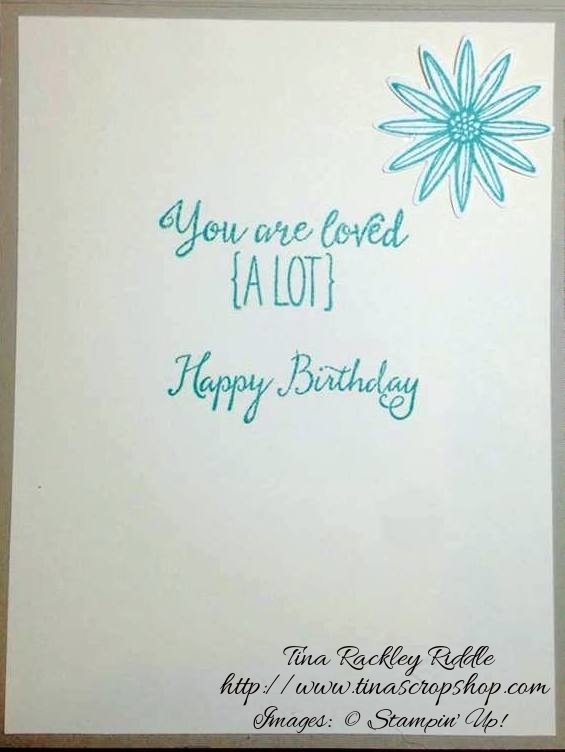 I plan on using it for a coworker's wedding shower that's coming up soon. 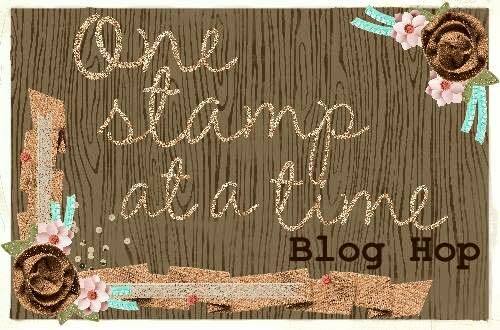 So I saw a post that my sweet friend Holly Stene posted in One Stamp At a Time that intrigued me! 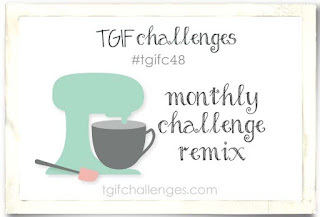 It was a remix of the March challenges over at TGIF Challenge Blog. 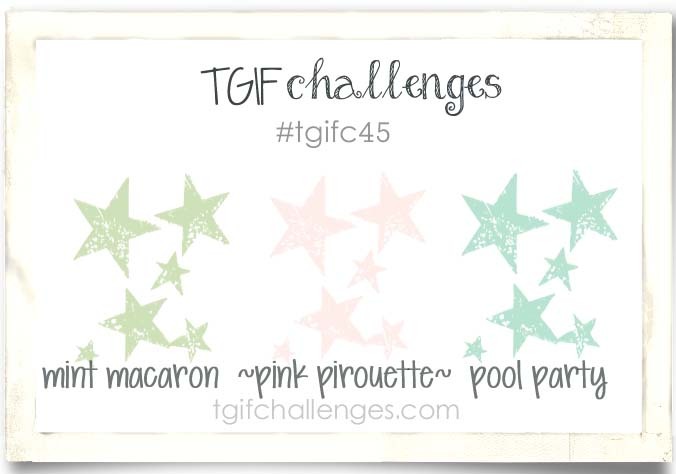 There were three challenges listed and you can pick two of the three to mix on one project. Pretty cool, don't you think? 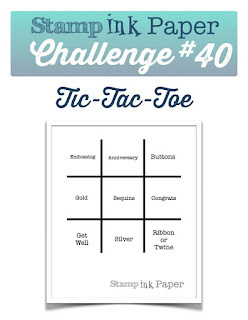 So the challenges that I picked to combine are ... all three! Hello and welcome to the March One Stamp at a Time Blog Hop! 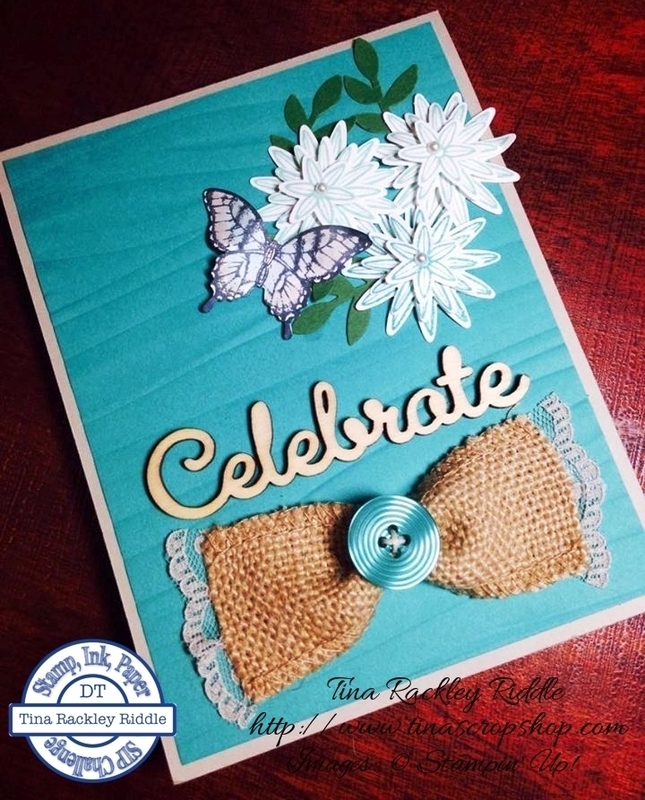 This month's theme is Spring Has Sprung and man has it ever here in Tennessee! With temps in the 70's lately, it's really beginning to feel a LOT like Spring! 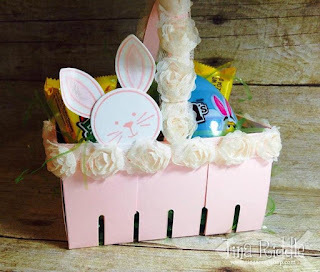 If you've already been hopping along you should have landed here from the awesome blog of Anna Smith! 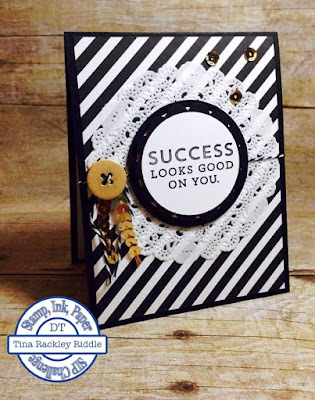 Anna is amazing and has such fun and unique projects!! My husband and I have five granddaughters and will soon have our 6th! 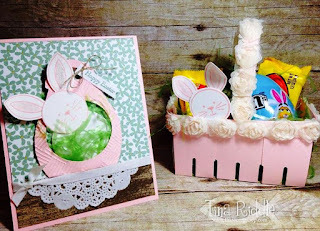 This time of year, I'm always working on Easter Cards for the girls so I took this opportunity to do not only a card but also a little basket for one of them... don't ask which one this is for because I don't know yet. lol I've found that they pay close attention to what the others get so I try to make their gifts similar. I hope you enjoyed my card and basket and will continue on for some more inspiration. Next up is my sweet friend AJ! She is absolutely Fabulous and you will adore what she has for you! Just click the next button and you'll be there! Enjoy! Here is the list of all of our hoppers this month! 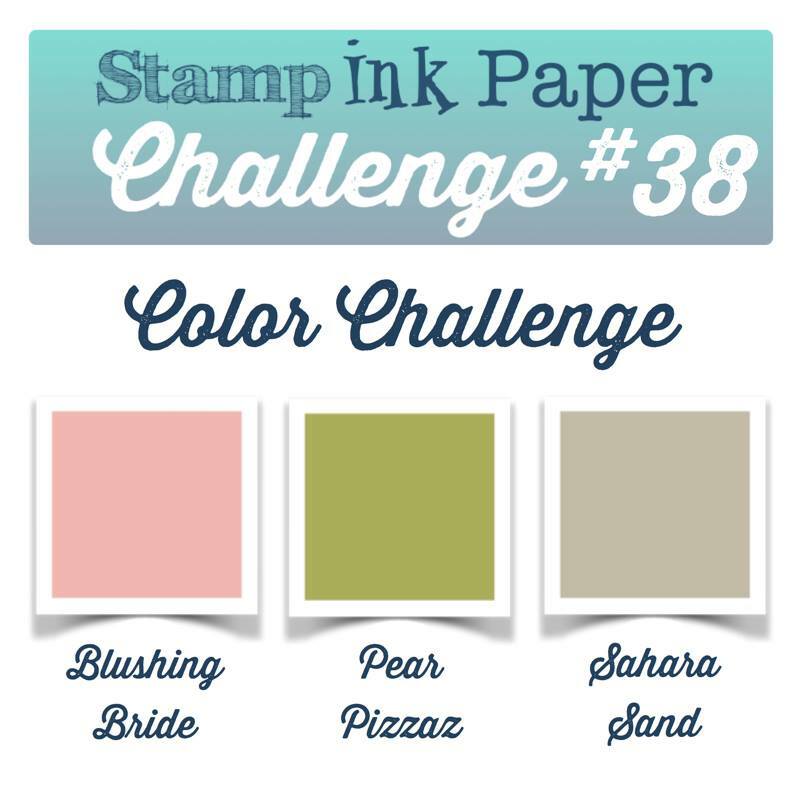 SIP #38 - Color Challenge with Blushing Bride, Pear Pizzazz and Sahara Sand! Hello and Happy Tuesday! 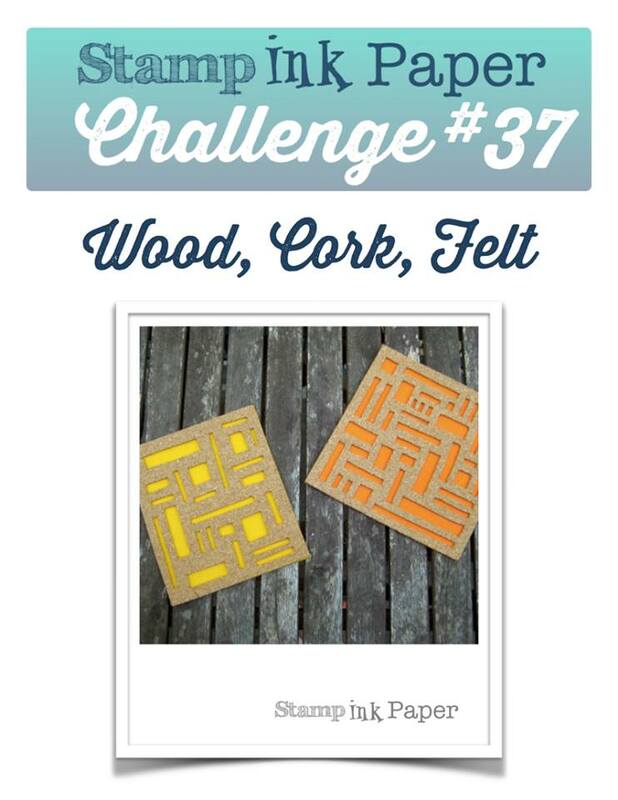 I'm over at SIP today with my color challenge design team card! 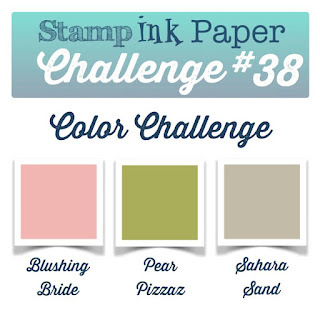 I loved the colors on this one.. Blushing Bride, Pear Pizzazz, and Sahara Sand! Since Easter is only weeks away I really needed to get a jump on my Easter cards so I took these beautiful colors and got started! 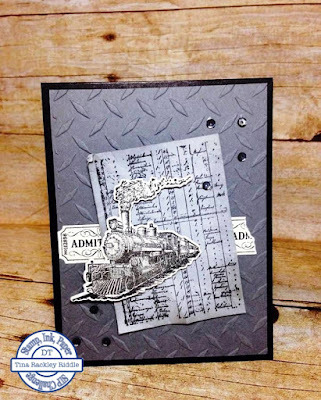 I absolutely LOVE the retired Indescribable Gift stamp set that was in last year's Occasions Catalog! 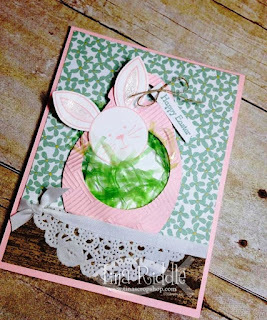 I'm keeping this one around for my Easter cards! I used some Clear Wink of Stella on the blossoms for some fabulous shimmer! 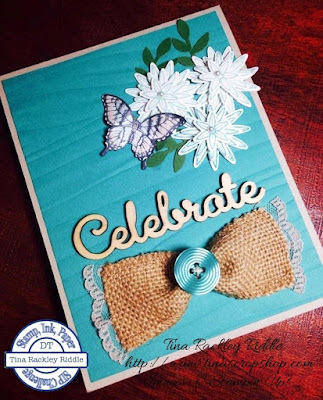 Hello and welcome to the March Inspire, Create & Share Blog Hop! 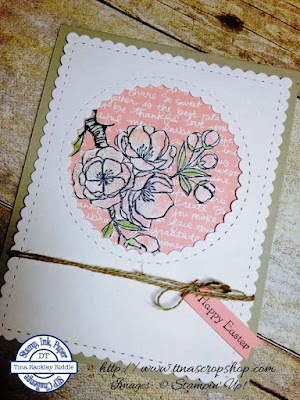 This month's theme is Welcome Spring and I can tell you I am ready to welcome it! 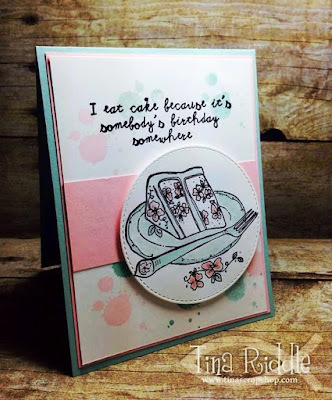 If you've been hopping already, you should have landed here from the fabulous blog of Jen Guarino! Jen is super talented and I'm sure you've loved her projects! When I think of Spring, I think of flowers and birds so that's what I went with for my card and project this month. My card base was an 11 x 4" piece of Tempting Turquoise that was scored at 5 1/2". 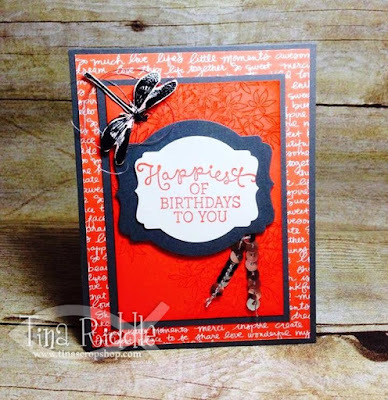 My next layer was a 3 3/4" x 5 1/4" piece of Very Vanilla Cardstock. 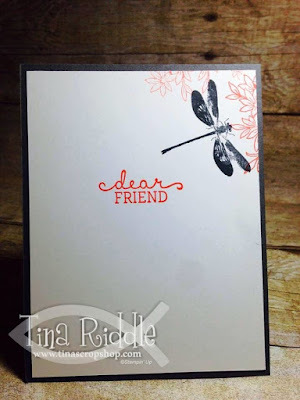 I stamped around the edges with the leaves stamp from the Grateful Bunch stamp set in Garden Green. I used my aqua painter and Old Olive Ink to watercolor in the leaves. 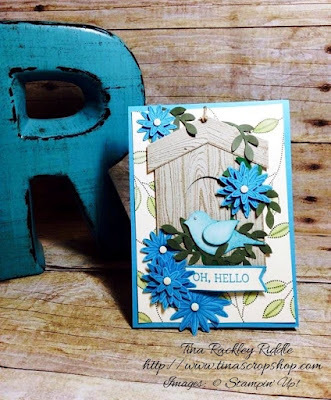 For my birdhouse I stamped piece of Sahara Sand Cardstock with the Hardwood Stamp in Tip Top Taupe ink. I cut the body of the birdhouse 2 1/2 x 3 1/4". I also cut a 5/8" strip to use for the roof. The hole in the birdhouse was punched out using my large oval punch. I adhered the piece that was punched out to my Very Vanilla leaves layer and then popped the rest of the birdhouse up with dimensionals to look like it was the opening of the birdhouse. I used my piercing tool to punch a hole in the top of the birdhouse and ran some linen thread through the hole and knotted it and then ran the long end behind that layer to appear that it was hanging. 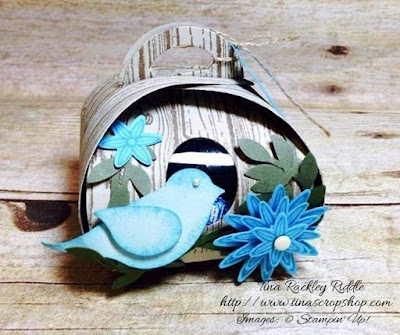 I then began punching out some Mossy Meadow leafy branches with my bird builder punch and adhered them to various places on the outside and inside of the birdhouse. I stamped the flowers from the Grateful Bunch stamp set on Tempting Turquoise cardstock with Tempting Turquoise Ink and punched them out with the coordinating punch. I added Very Vanilla candy dots to the centers of the flowers. I layered them with dimensionals and adhered them in various places on the birdhouse and hanging above and below the birdhouse. 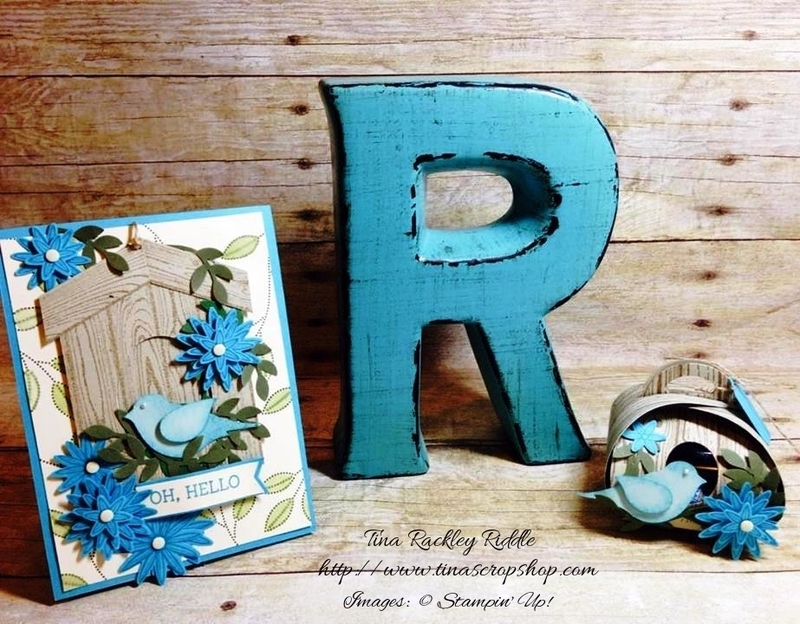 My bird was punched out in Soft Sky cardstock and the edges were sponged with Tempting Turquoise Ink. I adhered the bird's body with glue and the wing with a dimensional. I used a small pearl for the eye. The sentiment "Oh, Hello" from Honeycomb Happiness was stamped in Tempting Turquoise on a strip of Very Vanilla cardstock and the end was cut with my Banner punch. I layered the Very Vanilla sentiment banner on a wider Tempting Turquoise strip that was also cut with a banner end. I used my bone folder to put a wave in the banner and attached it with dimensionals. For my 3-D project I made a Birdhouse Curvy Keepsake Box. 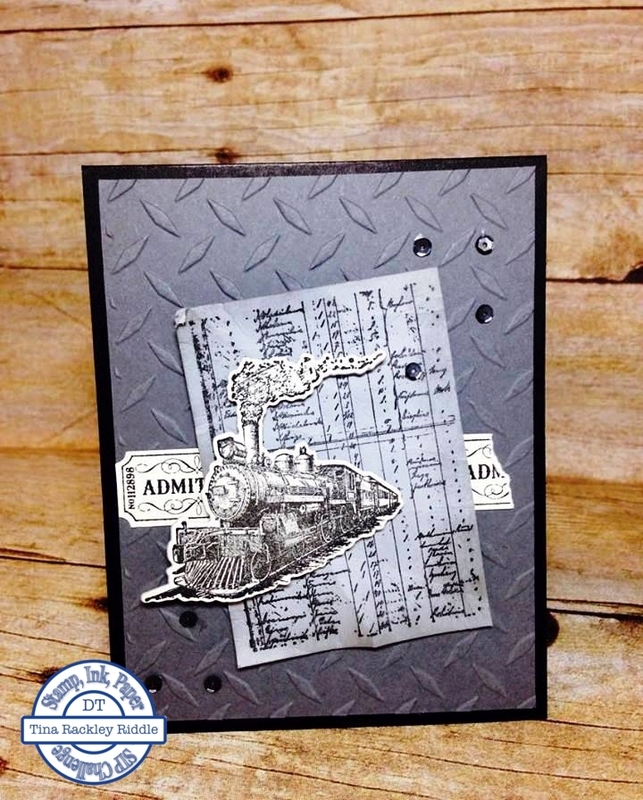 It was cut out of Sahara Sand cardstock and stamped in Tip Top Taupe ink with the Hardwood stamp. A small oval was cut for the birdhouse opening with a small oval framelit die. I adhered a piece of window sheet to the inside so that the treats wouldn't fall out of the birdhouse! :) I used my bone folder to curve the curvy keepsake box prior to adhering the two pieces together with tear tape. I added some Mossy Meadow leafy branches and Tempting Turquoise flowers and a bird just like the one on my card! For the inside of my bird's nest, I used some scraps of Mossy Meadow cardstock to cut some grass using my Fringe scissors and then of course, I added some foil covered chocolate eggs! Thanks so much for stopping by! 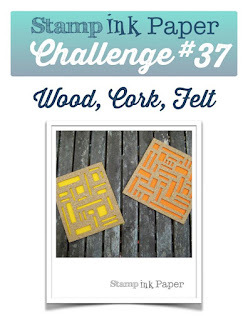 I hope you'll continue on to Terri Takashige's Fabulous Blog! !